Written by eileen-vculek on January 11th, 2018 March 26th, 2019 . 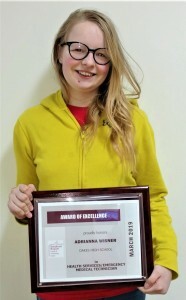 Congratulations to Adrianna Wisner and Jozy Kadoun, recipients of the March Award of Excellence. Adrianna is currently a 10th grader at Oakes High School and is enrolled in Health Sciences/EMT. Jozy is currently an 11th grader at Oakes High School and is also enrolled in Health Sciences/EMT. Adrianna is the daughter of Justin and Ellen Wisner of Oakes. 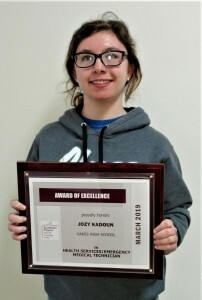 Jozy is the daughter ofJoseph and Tracy Kadoun of Oakes. Congratulations Adrianna and Jozy! Written by jodi-smart on May 5th, 2017 April 20th, 2018 . 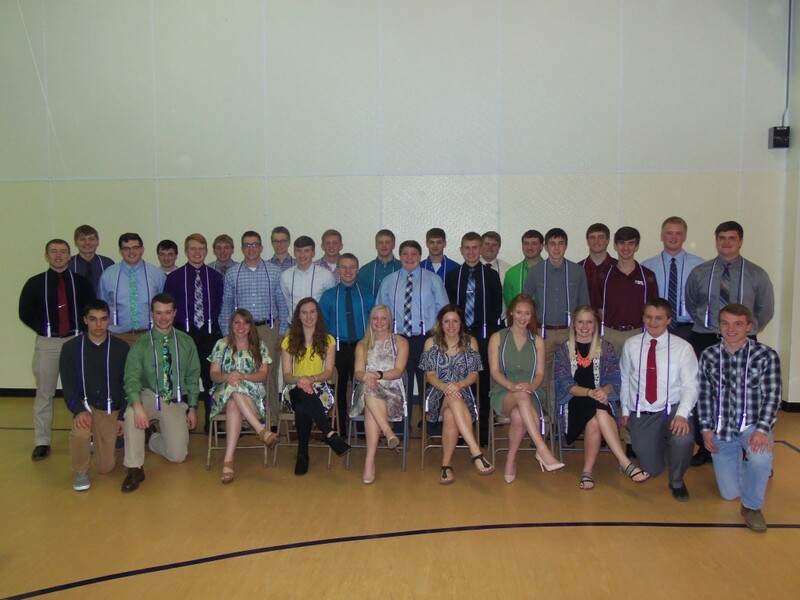 Front row left to right: Chase Hibl – Wahpeton, Caleb Foertsch – Wyndmere, Mikayla Lacher – R#44, Grace Elijah – Lisbon, Bailey Skjefte – Oakes, Taylor Mathern – Edgeley, Abigail Martel – R#44, Alyssa Petersen – Oakes, Zach Bear – Lisbon, Vincent Carruth – Ellendale. To be the leader in best practices of Career & Technical Education in North Dakota. Be a progressive leader in Career and Technical Education recognized for outstanding customer service. Deliver opportunities that maximize levels of achievement in an environment that motivates and excites students. Develop leaders and outstanding citizens through participation in Career and Technical Youth Organizations. Maintain a positive climate for teaching and learning and cultivate a sense of fair play, hard work, and excellence.